For whatever reason, whether it’s a restaurant’s small size, out-of-the-way location, or just a lack of publicity, some places tend to fall under the radar with a larger audience. 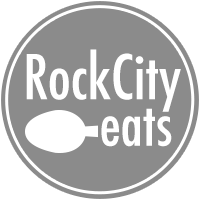 This Rock City Eats series takes a look at these Underrated Places. The restaurant: Taqueria Jalisco’z isn’t the restaurant or the location that most Arkansans would just stumble into on accident. You have to want to be there. The restaurant is on Baseline Road in between Geyer Springs and Scott Hamilton, right in the middle of an area that some folks tend to avoid. However, avoiding Taqueria Jalisco’z is a big mistake for those who love delicious authentic Mexican food. The atmosphere: Whether you stop in during lunch or in between meals, Taqueria Jalisco’z is almost always abuzz. The restaurant has a split dining room with mostly booths in one half and open tables on the other. A too-loud jukebox cheerily plays Central American music while plenty of natural light streams in from the floor-to ceiling windows. Speaking Spanish is not necessarily a must, as most of the servers understand English well enough to get your order delivered accurately. However, it certainly wouldn’t hurt to have a good understanding of the language; Taqueria Jalisco’z is truly authentic Mexican in both food and culture. The service: The wait staff and bar team are all pleasant and helpful, even to gringos who might feel uncomfortable. As is traditional in Mexican restaurants, servers seemed to work tables by committee, and we had several people check in on us during the course of the meal. The one weird service tic that we experienced, and others have as well, is that the food tends to come out sporadically instead of together. That means you may be enjoying your cocktail while others at the table are digging in to dinner. The food: It is tough for me to emphasize just how good and how authentic everything we tasted was. But before you order, make sure you have the correct menu. Taqueria Jalisco’z hands out an English menu to those who clearly aren’t primary Spanish speakers. You do not want this menu. Ask for the Spanish menu, which has several unique dishes not found on the English menu, including a sumptuous-looking barbacoa plate. Then you should make sure you order a cocktail. The mojito we ordered was quite good, bursting with mint and citrus flavors against an ordinary white rum. But for my money, you really need to order the Michelada. My Tecate version was perfectly spiced, and the beer, tomato juice and lime just sang together. It is easily the best Michelada I’ve ever tried. And the superlatives don’t stop at the bar, because I’m convinced that Taqueria Jalisco’z does tacos better than any other restaurant in Little Rock. I ordered the carnitas, al pastor, chorizo and campechanos (beef and pork mixture). All of them were perfect, with freshly made corn tortillas, expertly cooked meats, and loads of fresh onions and cilantro. These are the tacos I’d expect if I were actually in Mexico. Also outstanding were the gorditas, which were puffy tortilla pockets stuffed with slow-cooked meats, and the beautiful sopes and tostadas. But man. The tacos are seriously something special. The price: As you might expect from a traditional Mexican restaurant, prices are extremely reasonable. Most tacos are $1.50 each, and none of them are more than $2.50. The sopes and tostadas are under $4. Even the gigantic quesadillas come in under the $6 mark. And the generous prices extend to the bar menu; my Michelada was only $6, and my wife’s mojito was $5. The verdict: This might be the first time you’ve heard of Taqueria Jalisco’z, which also has a location in the Levy area of North Little Rock. You might be nervous about eating at a restaurant where English is only sparsely spoken in an area of town that doesn’t have a great reputation. 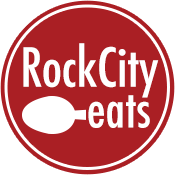 But if you can get past all that, you will find a culinary gem in Southwest Little Rock. Mexican food rarely gets better this side of the Rio Grande.